IntelGenx (OTCQX:IGXT; TSXV:IGX) and RedHill Biopharma (NASDAQ, TASE:RDHL) resubmitted the 505(b)(2) NDA to the FDA for RIZAPORT 10 mg, an oral thin-film formulation of rizatriptan for the treatment of acute migraines. 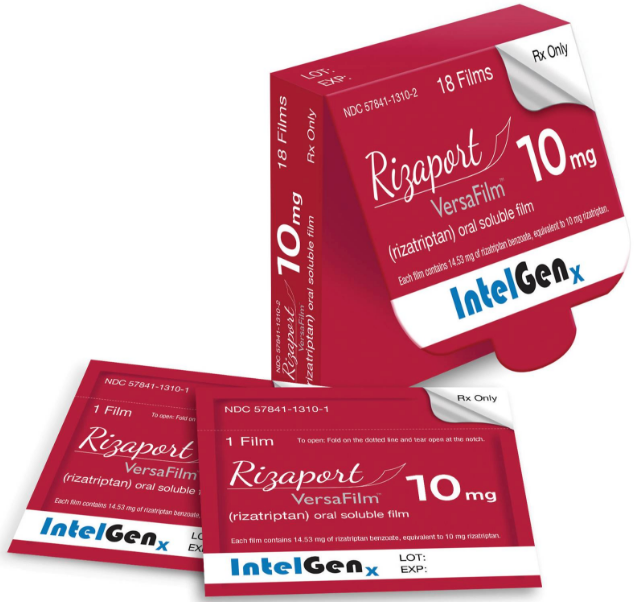 RIZAPORT offers an innovative and potentially advantageous therapeutic alternative for many migraine patients, primarily patients who suffer from dysphagia or migraine-related nausea, due to its convenient dosing, facile intake due to the lack of need for water and neutral flavor. If the RIZAPORT NDA resubmission is deemed complete for a full review by the FDA, the companies expect to receive a PDUFA date for the first half of 2018. "We look forward to continuing to work with the FDA as we seek to bring this product to market as a new therapeutic option for the benefit of patients suffering from migraines," Dr. Horst Zerbe, president and CEO of IntelGenx, said in a statement. Reza Fathi, RedHill's SVP of R&D, said the resubmission of the U.S. NDA follows the marketing authorization received for RIZAPORT in Germany and Luxembourg under the European Decentralized Procedure. “Our efforts are focused on commercializing RIZAPORT through partners in the U.S., Europe and other territories in the near future, and we are continuing the dialogue with potential partners," he added.